A new report released by the federal Department of Energy shows Americans who switched to LED bulbs in the last year have collectively saved more than $675 million in energy costs. 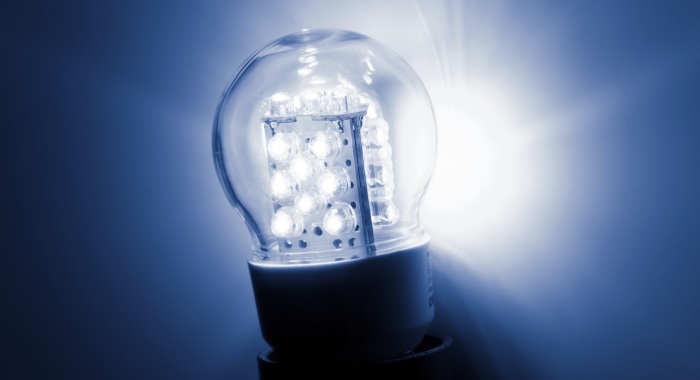 The energy-efficient bulb has become increasingly popular. In fact, American consumers installed more than 49 million lamps in 2012. In total, these installations have saved more than 2 billion kW of electricity from entering the power grid and polluting the atmosphere. The study analyzed nine different types of lighting applications including both indoor and outdoor selections. If each of these lighting markets completely switched over to LED bulbs the results would be astounding. The DOE reports it would save 1,135 trillion kW of energy and provide nearly $37 billion in energy savings for Americans. In fact, this change would cut yearly energy consumption for lighting in half! What’s so special about LEDs? If the DOE’s study isn’t enough to convince you to change out your light bulbs, perhaps these numbers will. · One LED light can last up to 25,000 hours. In that time span approximately 22 incandescent bulbs or three compact fluorescent lights (CFLs) would have burned out, according to the DOE’s study. One of the reasons people often opt for incandescent bulbs is because of how cheap they are. An LED may be more expensive at first, but think of the costs you would incur replacing your incandescent bulb 22 times! · LEDs use 75 percent less energy than a traditional incandescent bulb. Regardless of whether you want to reduce your impact on the planet or are just trying to cut down on your electricity bills, the energy-efficient LED bulb is the way to go. · Technology is continuing to revolutionize this energy-saving device. The DOE predicts that the 2017 model of an LED bulb’s environmental impact will have improved 50 percent over the 2012 model and a whopping 70 percent over CFLs. · LEDs provide multiple benefits. They are not only environmentally friendly they also perform just as well as any other light bulb. They light up quickly and brightly in no time, but they are also great for dimming. While incandescent bulbs turn yellow when dimmed, LEDs retain their true colors. · They don’t get hot. If you have ever gotten near an incandescent bulb that’s been turned on for a while, you can feel the heat radiating off of it. That’s because these basic bulbs use the majority of their energy heating the bulb, with just about 10 percent used for illumination. LEDs on the other hand, have been optimized to decrease wasted energy, so they run cooler and focus on the important stuff – lighting.